We at florists Edinburgh have a vast selection of designs available on our website for you to choose from, all of which are carefully recreated by our skilled florists. Each of these wonderful designs vary in size, colour, type and shape. 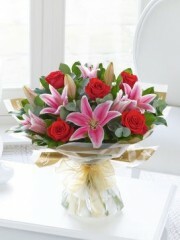 Regardless of what you need flowers for, we at Edinburgh florists can provide. We at flowers Edinburgh also offer a bespoke service which allows you to create a design entirely or customise one of ours. 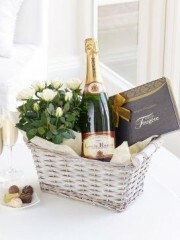 This is a great service if you wish to be creative, or to send a personalised gift. 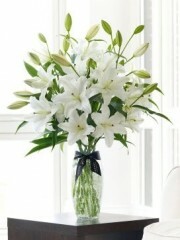 These design options are why if you need flowers to congratulate someone, we are the best there is. No matter the reason or the occasion, you are guaranteed to find a design that suits your needs. We have muted or vibrant colours and sweet or powerfully scented flowers – you just tell us at Edinburgh florists what you need, and we will do our utmost to provide. If you are ever unsure, you can ask to speak to one of our expert florists via phone or email, and they would be delighted to help you with your congratulation flowers. 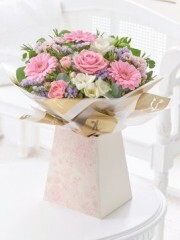 Along with our designs we also offer some small gifts to go along with it, perfect as finishing touches. Soft teddies/teddy bears, bottles of wine or champagne, boxes of chocolates and even balloons with messages on them – all of these are available for you. We also cater to all different occasions, meaning that your lovely Edinburgh congratulations flowers with a small gift will be delivered to anywhere you need it. Whether it be weddings, engagements, new home, new job, a promotion, a new baby, an achievement – all of these things and more can be reached with your beautiful bouquet of congratulations flowers. To maintain a level of freshness in your fabulous congratulations flowers, we have our flowers delivered straight from their source in Holland at least 3 time a week, all to ensure that you get lasting enjoyment out of them – customer satisfaction is one of our top priorities. To preserve our aim of high customer satisfaction, we have several delivery options all of which are tailored to suit whatever your delivery needs are. 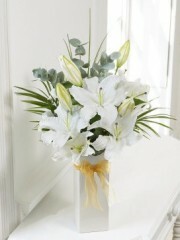 Next day delivery is the standard option, and for a marginally increased fee you are allowed to specify whether you would like your congratulations flowers to be delivered before or after 1pm. 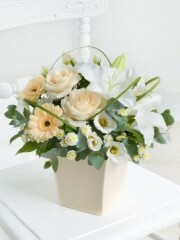 Another service is same day delivery which is an excellent service – this allows you to be sure that the congratulations flowers will arrive the very day you order them, providing the order is placed before 3pm. 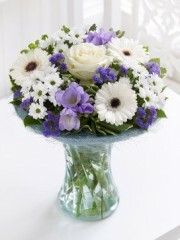 We at Edinburgh florists feel that this is excellent if you are forgetful, or for when the event is last minute. Both same and next day delivery is undertaken by our experienced and well trained delivery drivers who make it their mission to get to the recipient on time with your wonderful congratulations flowers in perfect condition. We also give you the option of ordering in advance, meaning weeks, months or even a year. 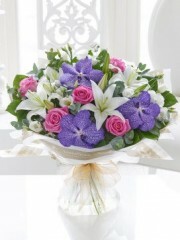 As well as delivering to anywhere in the UK, we at flowers Edinburgh also have an international delivery option. 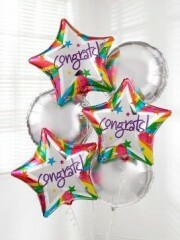 We can deliver your congratulations flowers to anywhere in over 140 countries all around the world. 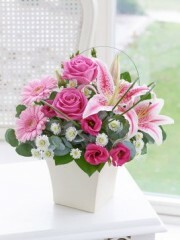 This is made possible through the extensive and trustworthy network of InterFlora florists, of which we are a member. It doesn’t matter where your friend or loved one ends up – you can rest assured that they are always within range of a stunning bouquet of Edinburgh congratulations flowers. 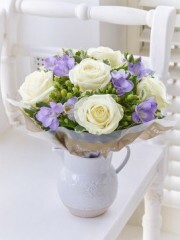 We combine over 40 years of experience with the training of our skilled florists to bring you the very best service.